After dinner on Friday night, the phone rang at Don Helus' home in Alabama. It was Richard Esposito, a veteran journalist who is leading NBC's investigation into Brian Williams' shifting stories about a 2003 Iraq War mission. "We talked for a few minutes," Helus said Saturday. He declined to say more about the conversation because, he said, he wanted to maintain the integrity of the process. Helus has been in the news this week. By his own account, Helus was on the helicopter Williams wrongly claimed to be on -- the one that was struck by a rocket-propelled grenade. Years ago, Helus said, he tried to contact NBC about what he calls Williams' "embellished" account, but never heard back from the network. Now NBC is calling back. Williams said Saturday he is stepping aside from the daily broadcast "for the next several days." At the same time, Esposito is re-reporting the incident to try to get to the bottom of the conflicting accounts of the rocket-propelled grenade attack. It's an unenviable task. Esposito is the senior executive producer of NBC's investigative unit. He normally tries to break news about subjects like government wrongdoing. He strives to get his stories on Williams' "NBC Nightly News." 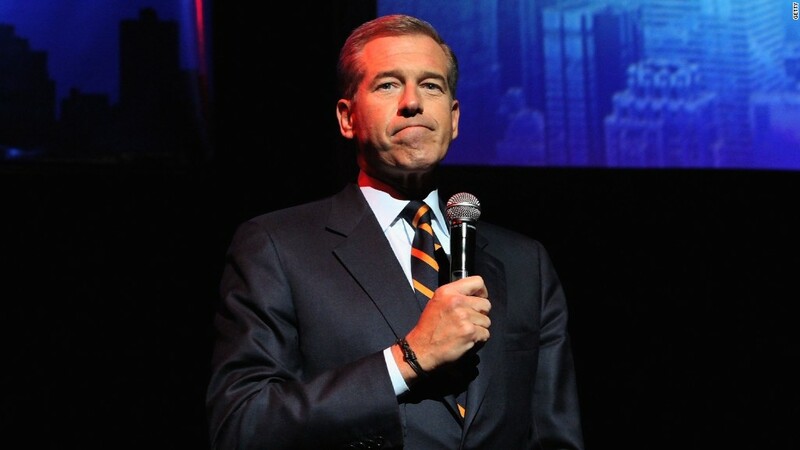 In his current assignment, he's running down the facts about Williams' disputed Iraq story, as well as several of the anchor's reports in the aftermath of Hurricane Katrina. In television news industry circles, there are many raised eyebrows about Esposito's assignment. After all, he works for NBC. But Esposito is a well-respected reporter. He has a reputation as a "digger," someone who aggressively pursues subjects and scoops, not the sort of person who'd help make unpleasant news go away. Esposito joined NBC News in 2013 after 12 years at one of the network's main rivals, ABC News. He was previously an editor at the New York Daily News and Newsday, and a reporter at The New York Post. He has written two books. And he isn't working alone: NBC News president Deborah Turness, who announced the internal probe on Friday, said "we have a team dedicated to gathering the facts to help us make sense of all that has transpired." That team also includes at least two other employees, according to an NBC source with direct knowledge of the situation. In fact, it was someone working for Esposito on the probe who first reached out to the Helus family on Friday. Don's wife, Terri, a former public information officer for the Army, asked that Esposito call directly. Helus was the pilot-in-command on March 24, 2003 when his Chinook helicopter came under fire in southern Iraq, according to a Stars and Stripes newspaper account of the incident published a week later. Williams was not on the helicopter, Helus said. He added that he remembers Williams arriving on a separate copter, which had not been hit by an RPG, 30 to 45 minutes later. But the anchor has claimed, as recently as January 30, that he had been aboard a helicopter that was hit by an RPG. He apologized for that on Wednesday, but many critics have called his apology insufficient and even misleading. Helus said he was bothered that Williams "has been carrying this embellished credential for years now" in an apparent bid to "further his career." A few weeks after the incident -- Helus couldn't recall exactly when -- a fellow soldier showed him an Internet video of Williams wrongly recounting what happened, Helus said. "I heard what he was saying about him being on the aircraft that got shot down," Helus said. The television segment Helus described does not appear in online databases like Nexis. However, not all NBC (broadcast) or MSNBC (cable) segments from 2003 are recoverable through such databases. At the time, NBC's main web site was MSNBC.com. Helus said "I wrote MSNBC -- you know, they have a link where you can write in -- and I wrote, basically just alerting them that the story was not correct." "I sent it. I didn't hear back. Then I went about my business," he said. "And here we are 12 years later." An NBC News spokeswoman did not respond to requests for comment about Helus' account, which matches what he told local newspapers earlier this week.